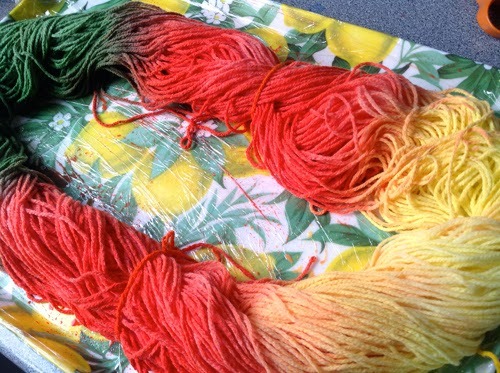 Gill, Noreen and Chelsea........thank you so much for expressing an interest in trying some of my 'experimentally' dyed acrylic yarn. You will be receiving some through the post but I will need your home addresses so please email me with your details (dinky.flowerpots@hotmail.co.uk). 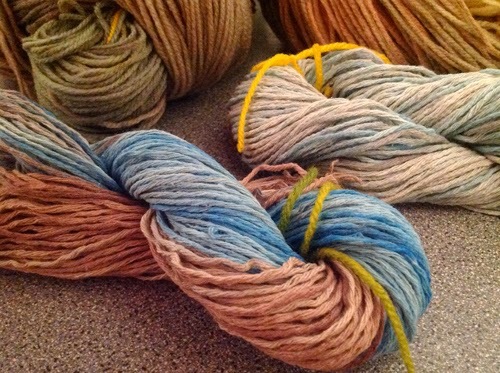 Over the last week my experiments in yarn dyeing have continued and I have to say that I'm extremely pleased with the results. 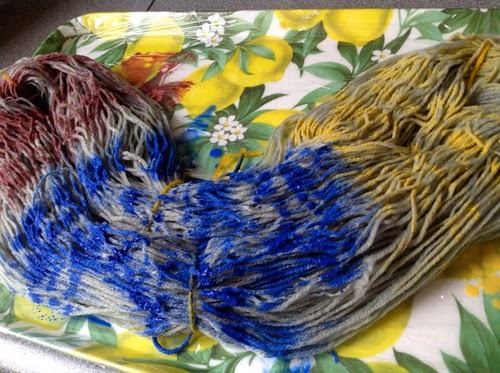 I have tried various different types of acrylic paint and some varying pale shades of acrylic yarn with some very unusual results, but it's all really interesting and there are so many permutations that I am eager to try. 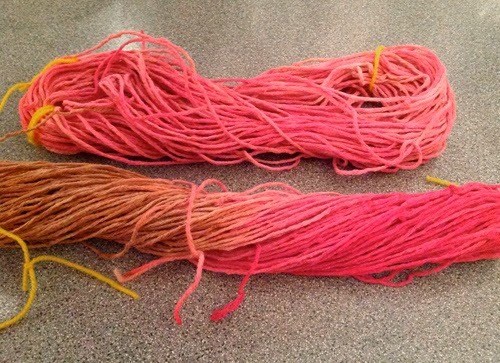 I have also progressed to dyeing cotton string, and that has worked really well. 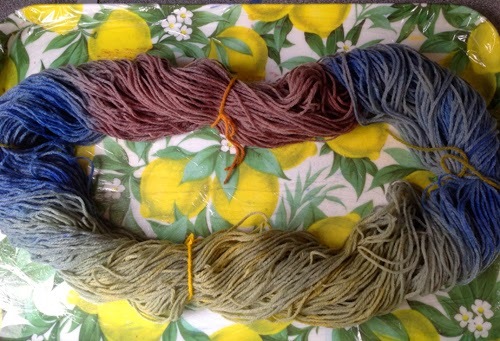 I want to try using some more natural dyes as well but this is where it starts to get more complicated with the inclusion of various substances to fix the dye within the yarn be it cotton or wool. Its a bit like a chemistry lesson and absolutely fascinating. 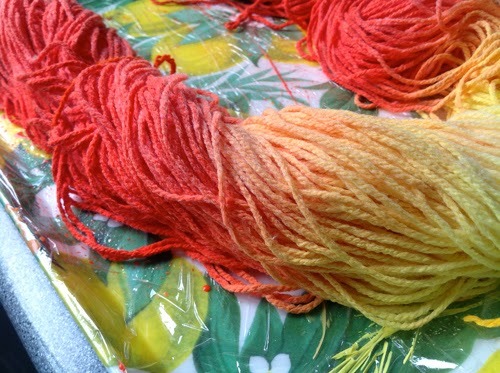 This evening I am dyeing some cotton string with Turmeric - such a wonderful colour which will fade quite a bit to hopefully leave a pale golden shade. Watch this space!! My heart leapt when I saw my name was one of the lucky ones, but there are many Gills around I wasnt sure! Thank you! 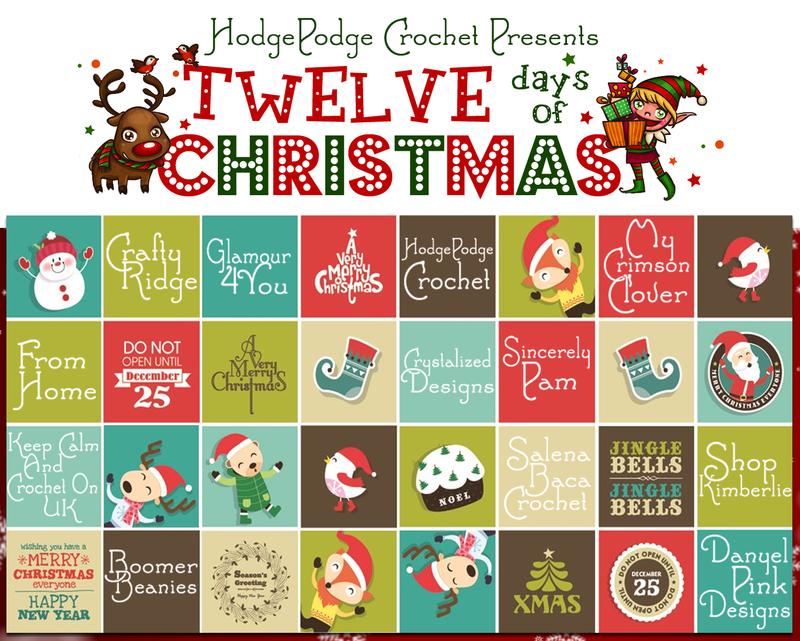 This is all looking so exciting! 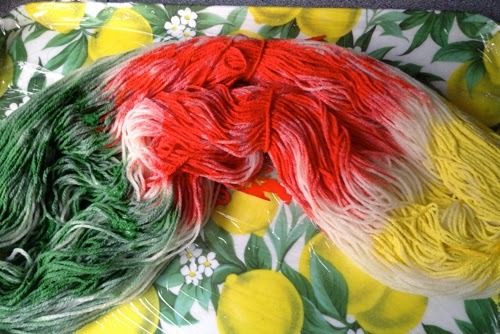 I love the other colours you've tried too, and I am thrilled to be able to have a go at making something with your hand-dyed wool - will email my address! 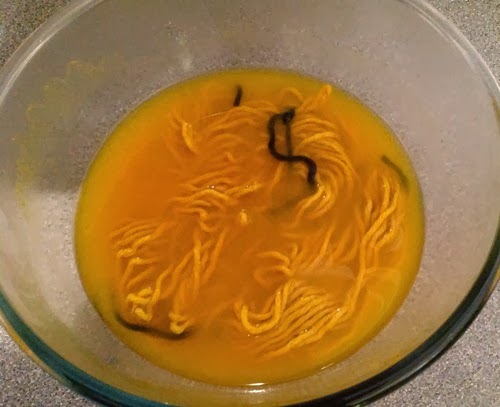 I noticed that Kristen over at cozymadethings has also been having a go at dyeing wool with natural dyes, she also used Turmeric with great success,and mentions other possibilities that you can do without using mordants or other fixatives - red onion skins and avocado stones I remember! 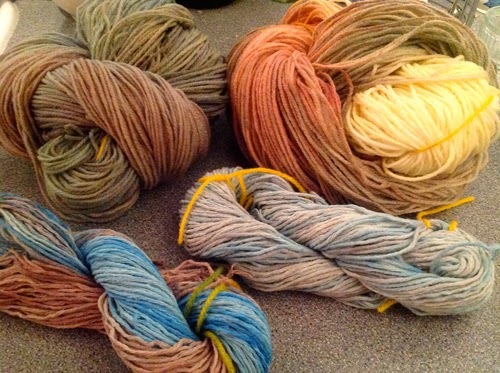 I want to have a go too when I can find time.